You are here: Home / Blog / All Articles / Why Dermaroller is the “New Thing” in Cosmetic Rejuvenation? Medical cosmetic is continuously rising nowadays. People are becoming aware and accepting on the possibilities of improving their appearance through cosmetic surgery, laser therapies, cryoablation, and many other newer treatment modalities. Microneedling or dermarolling therapy is one of the emerging techniques in the cosmetic era. There are more research, clinical trials and case study done to investigate the efficacy of microneedling therapy in treating various skin disorders such post-acne scarring, various types of scars, alopecia, and many other skin marks that are unsightly to look at. It is quite amazing to see how microneedling evolve through the years. It is said that dermarolling therapy is the “new thing” when it comes to cosmetic rejuvenation. In here, you will learn where dermarolling stand as a therapy and how it is being applied cosmetically. If you are new to dermarolling therapy, then let us define first what it is? 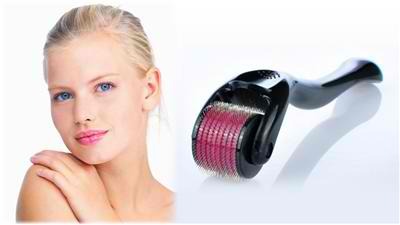 Dermarolling therapy is also called as Microneedling therapy and or Percutaneous Collagen Induction Therapy. It is a safe, very simple, minimally invasive and effective therapeutic technique. Initially, it was introduced for skin rejuvenation and gain wide acceptance worldwide. Due to the success of dermarolling therapy, a lot of research has been done determining if it can also be used in other skin conditions. Over the years, the treatment evolved and it is now being used to treat acne, acne scars, burn or post-traumatic scar, drug delivery, stretch marks, and many other indications. For more than 10 years, a lot of innovation has been made even to the device itself. The technique is now being combined with other surgical procedures to provide better outcome. More so, this procedure is a safe technique particularly for those with dark skin types. It is quite a challenge to treat dark-skinned individuals because of the higher risk of post-inflammatory pigmentation. They are also more prone to have damage in the epidermis. Dermarolling therapy has been used for wide array of indications. In fact, there are many clinical trials that provide evidence for its usefulness. It is a stand-alone technique which can also be combined with other treatment modalities like platelet rich plasma, chemical peeling, and subcision, radiofrequency, lasers and punch elevation. It is also used in conjunction with other topical formulation, thus, enhancing its penetration and action. Skin Rejuvenation? Is it the Key to Younger Looking Skin? As mentioned, dermarolling was used initially for skin rejuvenation. Even famous celebrities post their pictures on the internet showing how they used microneeding to improve their skin’s appearance. So how does, dermarolling therapy works in skin rejuvenation? 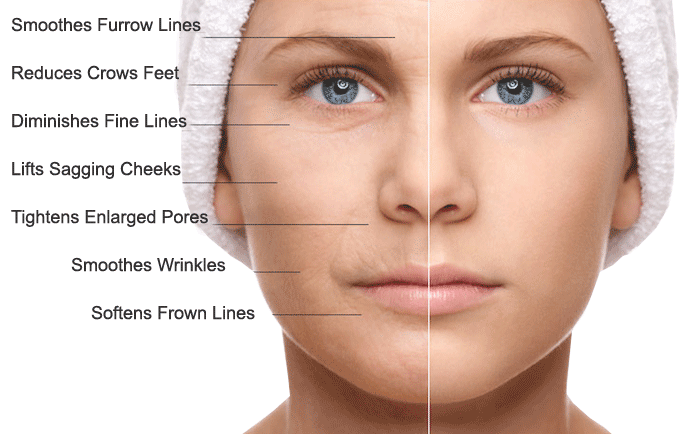 Dermarolling leads to reorganization of old collagen fibers and lay down new collagen, capillaries and elastin that leads to skin tightening. There is a significant increase in the levels of collagen type I, III, and VII. After 6 microneedling sessions with 2 week intervals, it was observed that there are newly synthesized tropoelastin and collagen from baseline. The percutaneous collagen induction leads to a youthful appearance of the skin by reducing wrinkles and fine lines. It also reduce pore size, provides more elasticity and suppleness of the skin. The effect is further enhanced when the procedure is combined with a topical anti-aging serum like Tretinoin and Vitamin C. There are also clinical trials where dermarolling therapy is combined with human embryonic stem cells which are derived from the endothelial precursor cell conditioned medium and it has shown significant reduction in pigmentation and wrinkles. Large multicenter trials have also studied fractional microneedling radiofrequency and it was found out that it is effective in reducing wrinkles. How is Fractional Microneeding Radiofrequency Being Done? Is it Effective for Skin Rejuvenation? Microneedle Fractional Radiofrequency is a recently developed and minimally invasive technique used for skin rejuvenation. 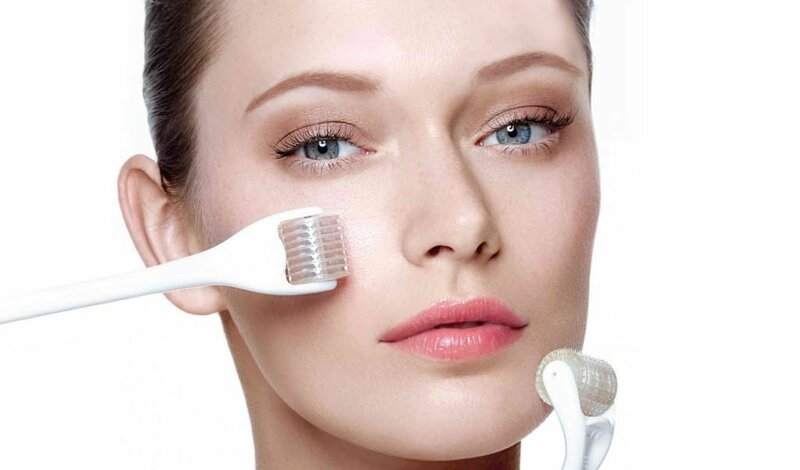 This method delivers radiofrequency energy directly into your skin using microneedles. More so, the use of growth factors for skin rejuvenation is an emerging treatment for anti-aging. A number of studies have evaluated the safety and efficacy of microneedle fractional radiofrequency. There are also studies where it examined its synergistic effect with stem cell conditioned medium which are composed of large number of cytokines and growth factors. Trials have concluded that microneedlle fractional radiofrequency is an effective and safe skin rejuvenation method. Studies have shown that better results may be expected when the method is combined with a stem cell conditioned medium. Dermarolling or percutaneous collagen induction therapy is a new treatment modality used for skin rejuvenation, scar remodelling and skin tightening. It offers an effective and simple approach for photo aged skin with minimal disruption of the epidermis. It limits adverse effects by minimizing downtime. Why Dermarolling Therapy is the Next New Thing? Patients having wrinkles or unwanted scars have several therapeutic options on how to improve the appearance of their skin. The available treatment modalities that offer desirable results are usually overtly invasive and or entail higher risk of undesirable side effects. Dermarolling therapy has emerged as non-ablative alternative for managing patients who have some concern on aesthetic changes that result from aging, disease or from injury. Although, dermarolling is a relatively new treatment modality in dermatology, it has been touted for broad range of applications. The significant increase for minimally invasive procedures has been reported for the past several years. The studies suggest that dermarolling may occupy a specific niche for patients who wants and desire measurable clinical results from treatment that offers little to no recovery. Dermarolling therapy has a bright future. People want a treatment modality that is effective yet affordable. More so, the minimally invasive technique of microneeding is also an added advantage. Most of the clinical trials in microneedling showed promising results. Aashim Singh and Savita Yadav. (2016). Microneedling: Advances and widening horizons. Indian Dermatology Online , 244-254. Alster TS1, Graham PM. (2017). Microneedling: A Review and Practical Guide. Dermatol Surg. , 1097. El-Domyati M1, Barakat M1, Awad S1, Medhat W1, El-Fakahany H1, Farag H1. (2015). Multiple microneedling sessions for minimally invasive facial rejuvenation: an objective assessment. Int J Dermatol. , 1361-9. Hee Jung Lee, Eo Gin Lee, Sangjin Kang,1 Jong-Hyuk Sung,1,2 Hyung-Min Chung,3,4 and Dong Hyun Kimcorresponding author. (2014). Efficacy of Microneedling Plus Human Stem Cell Conditioned Medium for Skin Rejuvenation: A Randomized, Controlled, Blinded Split-Face Study. Ann Dermatol. , 584–591. Ramaut L1, Hoeksema H2, Pirayesh A3, Stillaert F2, Monstrey S2. (2017). Microneedling: Where do we stand now? A systematic review of the literature. J Plast Reconstr Aesthet Surg. , S1748-6815. Seo KY1, Kim DH, Lee SE, Yoon MS, Lee HJ. (2013). Skin rejuvenation by microneedle fractional radiofrequency and a human stem cell conditioned medium in Asian skin: a randomized controlled investigator blinded split-face study. J Cosmet Laser Ther. , 25-33. What your Dermatologist have to Say about Dermarollers? Can Derma Rolling Be Used As a Maintenance Treatment? How Long Should It Last? Best Products Used Together With Dermarolling Therapy to Treat Atophic Acne Scars: What Dermatologist Recommends? Dermarolling Therapy for Asian Skin: A Low Cost Yet Effective Treatment you Should Never Miss! 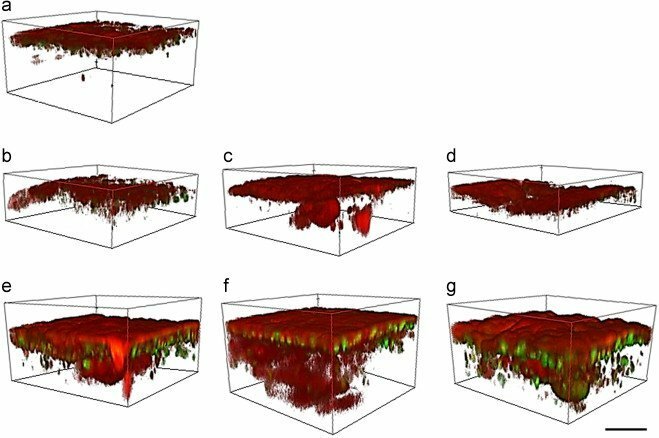 How Microneedling Enhance Transdermal Delivery of Tissue Optical Clearing A... How Dermarolling Improved Flap and Graft Survival?